I was really taken by these little squares of woven morse code when I first came across them. As a child I remember being fascinated by this secret language. Weaver Holly Berry has managed to capture some of this quiet mystery, and woven it into something very lovely indeed. Different on each side of the cloth, her blankets and scarves hide secret messages, stories and memories, that can be passed down for generations. 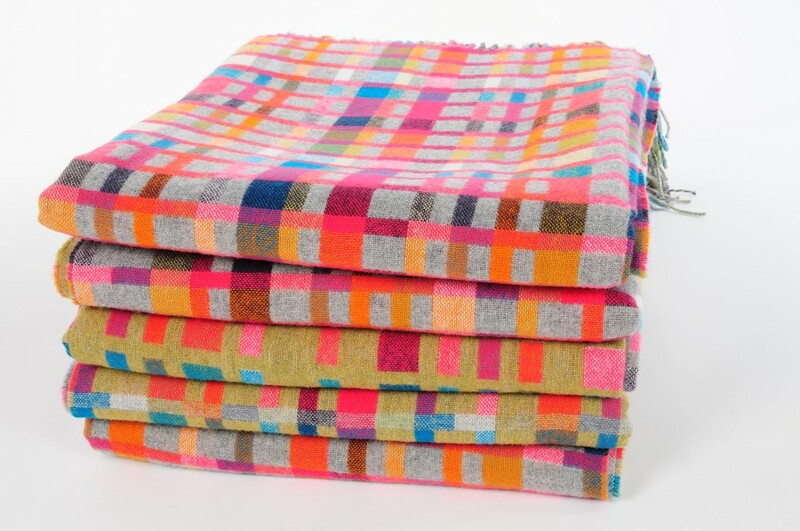 Holly’s larger blankets are woven in a 250 year old mill in Scotland and spell the word ‘LOVE’ throughout them in Morse-code. Her scarves and wraps are woven by hand in her South London studio. Holly can also make something to a bespoke design – tell her the message or story that you want to be hidden in the blanket, and she will make it for you. I think this is such a fascinating idea – I love the thought of creating something which contains maybe an important family story, or a private message of love, to be kept and remembered. This mix of art and function makes these blankets really special I feel. There is a celebration of craft and traditional practice, but which also encompasses the new world, and our love for storytelling and a sense of value. “My luxury woven cloths, accessories and blankets are to be used everywhere and anywhere, inside and out, providing the warmth of wrapping yourself up in a protective and decorative layer, and enriching your experience with colour, warmth and love. I wish to create heirlooms that capture memories and stories and encourage an emotive connection between textile and owner. I’m always fascinated by where people get their inspiration – Holly seems to find it all over the place – the inspirations gallery on her blog shows a wide variety of sources and starting points, from chalk drawn pavements to note book sketches and piles of old fish crates – colours of skies, slates, and powdery sweets..acidic yellows and oranges adding an edge..there’s a sense of both the urban and the natural world, woven into one..and still that great feeling that always inspires me, of something that has taken time, thought, and a human hand to create. Well, if your weather has been anything like it has been here for the past two weeks, you might be growing a little sick of the colour Grey..I certainly am, and so have been comforting myself with a search for something brighter. Here are some of my visual cures for the “Supposed to be Summer but Feels like Winter” Blues..and if you’re having a beautiful hot sunny day where you are, enjoy! The creation of textile designer Lorna Syson, these fabric wall flowers would add interest and colour to any room. Lorna says that her inspiration comes from the British countryside, particularly in the Springtime. Her original flowers were based on Dahlia’s that she saw growing at the Eden project in Cornwall, and all of the designs since have their roots in countryside walks and being outside. These flowers can be bought ready made, or bespoke from 20cm upwards in a huge variety of colours, and are easily nailed to the wall using the back petals. Add a little Spring to your wall! The cushions are fabulous too, and made from a really interesting fabric, being 75% wool and 25% stinging nettles, all sourced and manufactured organically. Huggable, bright, and cheerily good. I found it really difficult to pick which pieces to feature from the work of Ceramic artist Myung Nam An (above). I find these, from her “Eyes” collection, completely unique and fascinating. I like the fact that they reference certain forms, but still remain totally open to individual interpretation. Some are a little like alien life forms, or strange wonders found in the deep seas, giving you a peep before crawling away on suckered feet..some are fun, like childhood sweets, or quirky ladies hats at the races. Working individually or as a group, it would be hard to choose. Hello! Such a cute little owl print from Peris & Corr – an organic textile printing company from North Wales. Peris & Corr offer a water-based screen-printing service and can print onto t-Shirts, tote bags, babies clothes and more. They also design and make their own range of handmade textile products and greeting cards. You can read a little more about their printing processes and see the prints being made on their blog too. I also particularly liked these Welsh blanket lampshade designs. Bright and lovely. Lastly, but by no means leastly, these fantastic coat hooks, made from vintage 1930s wooden shoe lasts really brought a smile to my face.. I found these at White Dove & Wonder, a company run by art and antiques dealer Susan Gaston and her husband Jimmy. Grown from an impulse purchase of a collection of vintage Northamptonshire made shoe lasts, Susan and Jimmy began to see many interesting and attractive uses for these discarded items. They both come up with the designs together, and then Jimmy painstakingly restores each shoe last before hand-making each piece using natural wood. That’s it for now, I hope you have a bright and sunny day, wherever you are. 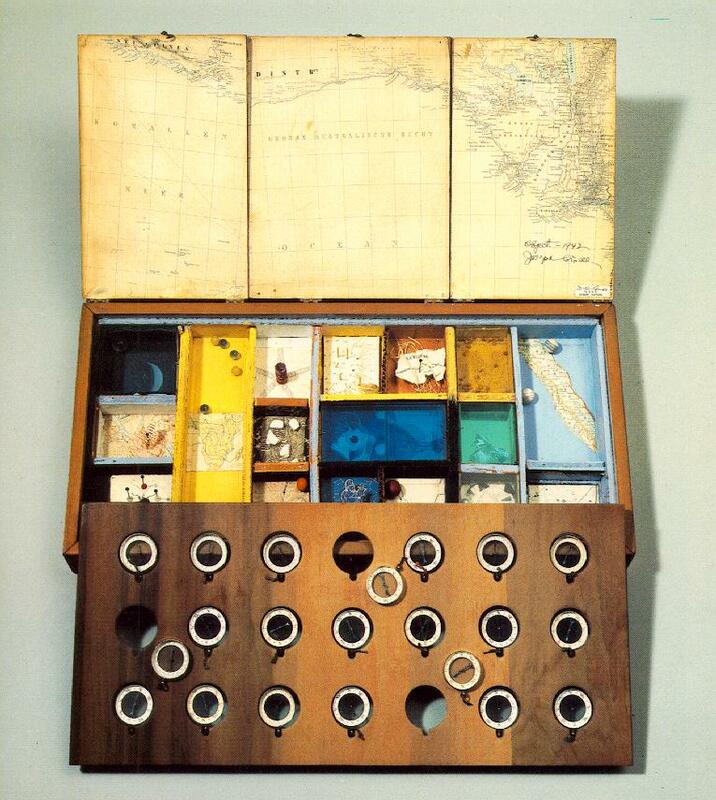 Assemblage boxes by American artist, collagist, and filmmaker Joseph Cornell. 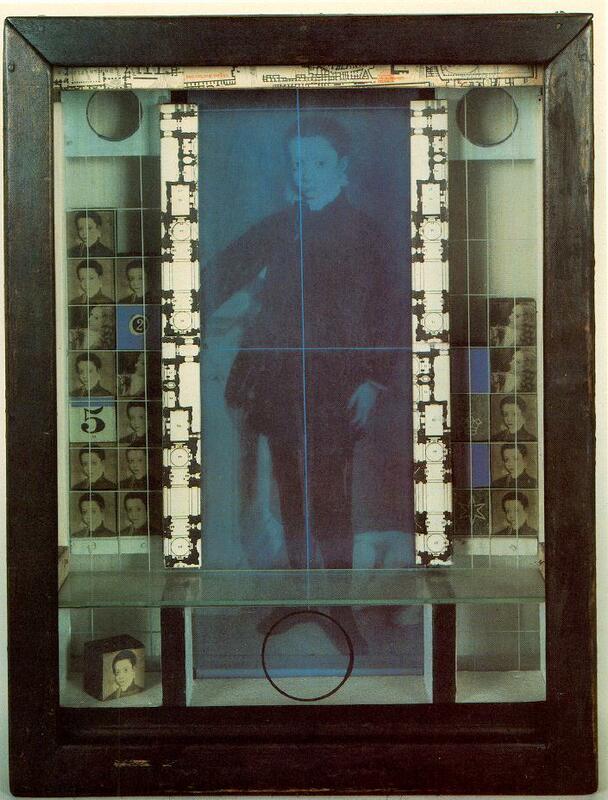 I find Joseph Cornell such an intriguing character. 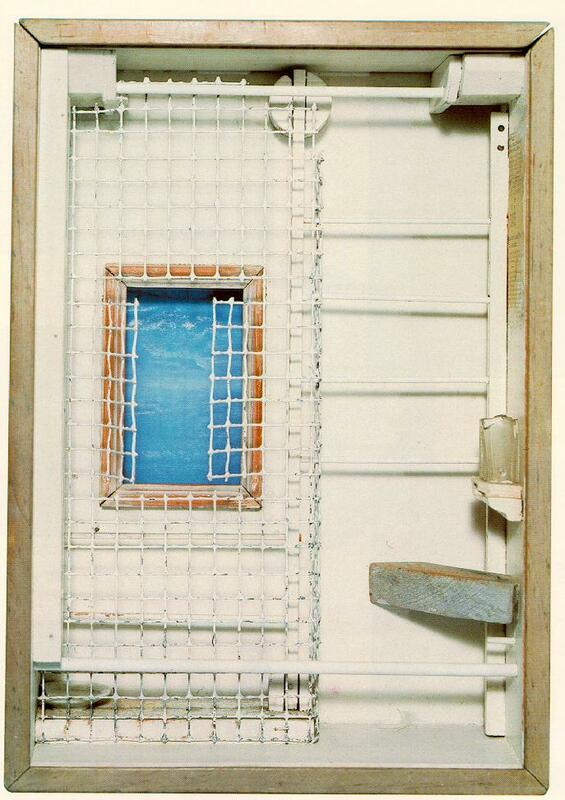 Self taught, he was one of the pioneers and most celebrated exponents of assemblage. I am in love with his sense of symmetry, both in design and colour. There is something very calming about the exactness of these boxes. Everything just fits, it works. Each square is where it is born to be, each shape leads you to the next, creating a great journey for the eye to dream upon. There are stories and surprises in every box, offering small places of contemplation and inspiration that celebrate the unique in the commonplace. I have always been fascinated by miniature worlds, looking into something and finding a million other little scenes and universes. These give me that feeling, like gazing into a deep rockpool and imagining yourself grown tiny and swimming inside. You cannot help but try to formulate connections between the objects here, to uncover meaning and create stories. 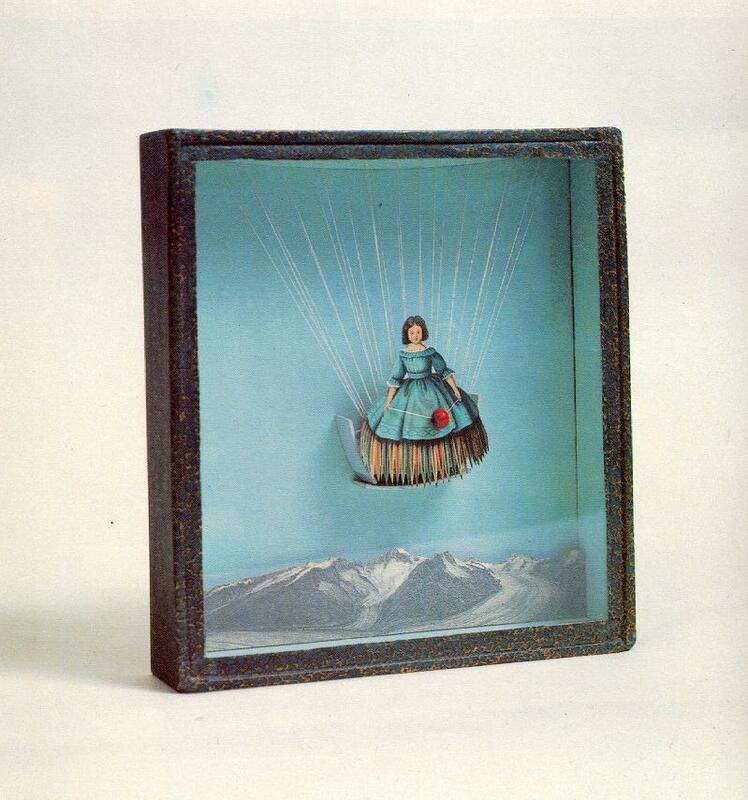 Cornell was a passionate collector – books, prints, postcards, and printed and three-dimensional ephemera all found their way into his life and work. He was also continually keeping notes and diaries, exploring ideas and carrying out “explorations” where he would conduct research, collect material and compile extensive files on individuals or topics of interest to him. These became thought of as artworks in themselves. There is a fascinating collection of his papers, correspondance and diaries, along with a biography, at the Archives of American Art website here. See some more of his works here. I was led to these illustrations when I was reading Donna Seger’s wonderful blog Streets of Salem. I think they’re fascinating. 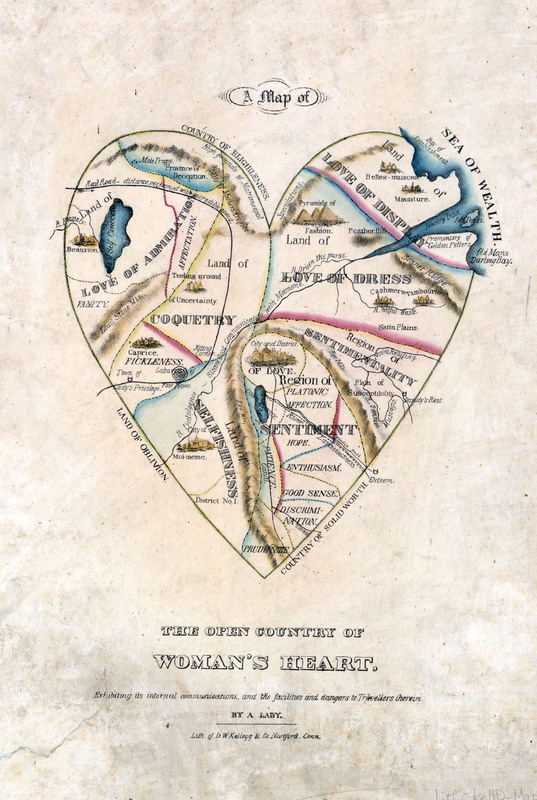 Supposedly created by “A Lady”, and published in 1830 by the Kellogg Brothers of Hartford, Connecticut, they are beautifully drawn, and very much reflect the times in terms of the social perceptions of men and women. 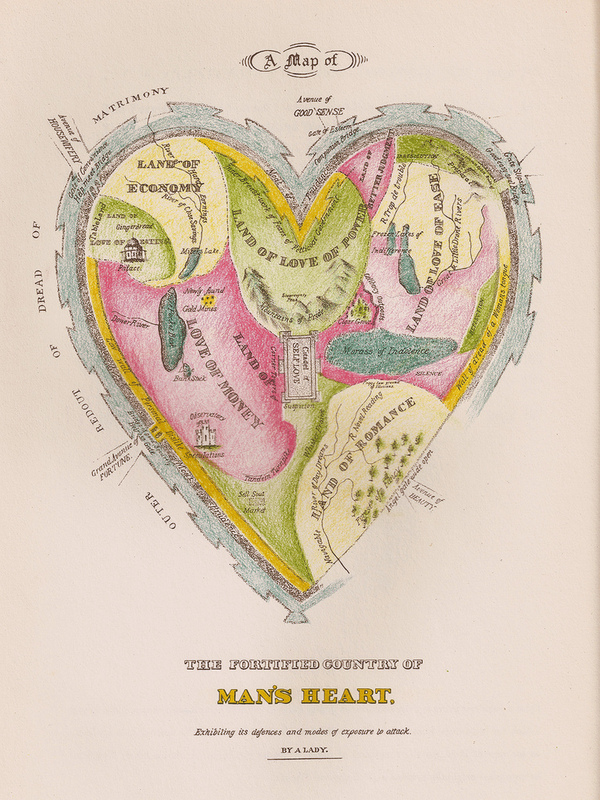 You can see these, and other wonderful lithographs, at the online gallery of the Connecticut Historical Society and Museum. 1. Welter, Barbara. “The Cult of True Womanhood.” American Quarterly 18:2, Part I (Summer 1966), pp. 151-174. This week, two artists from two different countries share their work and thoughts – Andrew Bird from Derbyshire in the UK, and Stephen B. Macinnis, from Charlottetown, Canada. 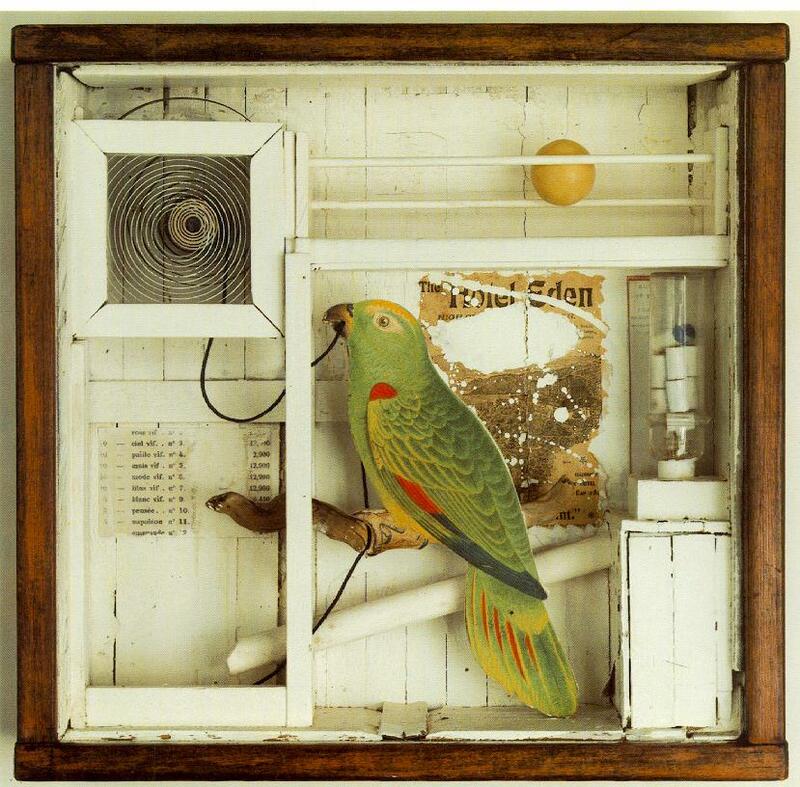 I felt an instant connection to Andrew Bird’s paintings the moment that I saw them. It may be in part that I share his love for the Cornish landscape and coast, a subject often depicted in his work – but I was also instantly struck by his live sense of movement, form and colour. You can feel the breeze blowing across your face, the slide of the sea, the flash of sunlight on a coloured boat. I can feel the handmade in the gestures and strokes too, each mark has energy. I asked him to tell me a little more about his work and practice..
“The themes in my paintings tend to come from the experience of being in a place for a period of time and the images become composites of this rather than an attempt to accurately represent a scene. I try to paint what I have seen and felt in equal measures. This could be anything from the way the light captures an object or lights up a hillside, the weather, texture on rocks, paint peeling on buildings and boats and many other things. I also try and reflect on how I experienced a place within my work. “The process of making the work usually starts from wanting to describe a specific situation. I don’t have a rigid idea of how this will progress and let the work develop instinctively. It does, however, need to be successful in whatever the aim of the painting was at the start. I will work and re-work the whole image to achieve this. The paintings are made from many layers of paint that I build up to form textures and forms. For this I use a knife, brushes and quite often anything that comes to hand to make marks. Layers of paint are constantly scratched into to reveal underlying texture. I use recurring forms and marks within my work. These invariably represent large structures around coastal areas such as docks, harbour walls, the superstructure of ships etc. The smaller inscribed marks are usually closer detail such as steel rings on walls, groynes, buoys, windows on boats etc. “I try to achieve a rhythm and a sense of movement throughout the composition and with the use of colour, I think that this helps to outline a sense of time rather than the image being a static snapshot. “A large portion of my current work is based on visits to the South West of England and more specifically coastal areas of Cornwall. I find Cornwall to have a unique sense of place within the UK and find it a fascinating area to be and I hope that my work reflects this. You can see more work from Andrew and make contact with him through his site, here. “I guess the best way to explain the Long Series is that I’ve always been torn between large and small work. I most often work on a smaller scale, but I enjoy working on a bigger scale too. The only problem with working large is what do I do with the work after I exhibit it? I live on an Island on the East coast of Canada and sending large work out can be expensive, and often I end up putting things in my shed, or taking them apart after they are shown. “The Long Series became the great answer to my problem. I think of the series as one big piece with over a 1000 smaller parts. The individual paintings do stand alone, but I prefer to show them as a large installation. There are several ways to show the work, as a large grid on a wall, as a large stack, or as selected framed paintings. The paintings are all about 12×12 inches. An element of chance is essential to the work. You can see Stephen’s work in context by watching the video below. I found it moving to see the work in action, a whole series of days, thoughts, moods, almost a visual diary, each one unique. The music is Stephen’s brother in law, Daniel Ledwell. You can visit Stephen’s site here. The fire of aspiration, yearning, a leap of the imagination into the undiscovered and unknown. We all need these places of mystery. This well known illustration, “I want! I want”, by William Blake, is one of 18 tiny engravings, published as “For Children: The Gates of Paradise” in 1793. The book documents the course of human life. Etched in intaglio, the work is based on designs Blake drew in his notebook. I love each tiny stroke.